'Talking about life and death' is a film about a knowledge exchange event involving representatives from Cheshire West and Chester Older People’s Network and Library Service. 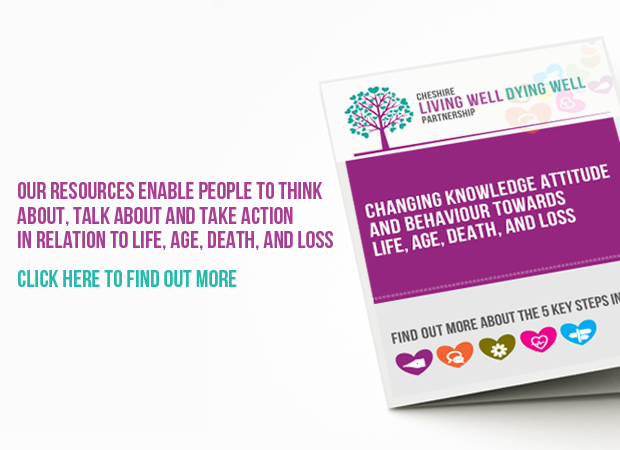 The course will equip staff and volunteers to raise awareness and promote action about important end of life plans and wishes with service users. It is important that staff and volunteers are able to offer comfort and support to bereaved families and friends. Writing a Will and sorting out your financial affairs can bring peace of mind. We can come and talk to your group, club or association. Ten of our Community Ambassadors got busy crafting a 6’x4’ canvas for display at the famous Whitworth Art Gallery, at an exhibition held on 11th May 2017. The artwork promoted the use of art as a way of raising awareness and encouraging people to think ahead in relation to their plans for the future and end of life. The free ‘Art of Dying’ Event, led by the Greater Manchester & Eastern Cheshire Strategic Clinical Network, part of NHS England and supported by CLWDW, also hosted workshops, performances and conversations about dying, death and bereavement. CLWDW also championed other individual entries from across Eastern Cheshire. The painting “Dark Trees” created by Hazel Aimson, a patient at East Cheshire Hospice, won a well deserved first place from over 180 entries in the “Beginners Art Class”. The winning painting took pride of place at the exhibition following almost 4000 votes. 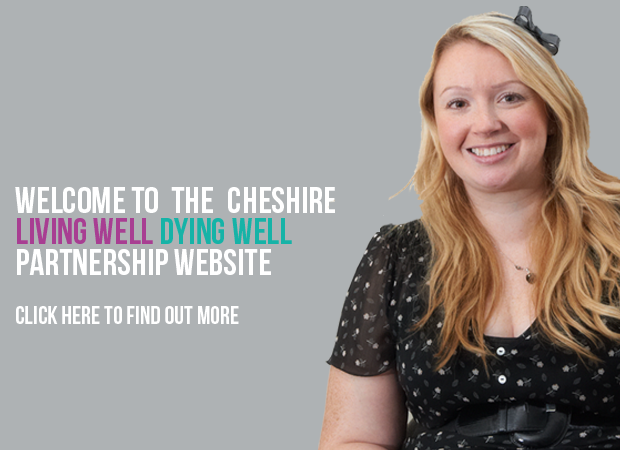 If you are interested in finding out more information about becoming a Cheshire Living Well Dying Well Community Ambassador visit here or call 01270 758 120.